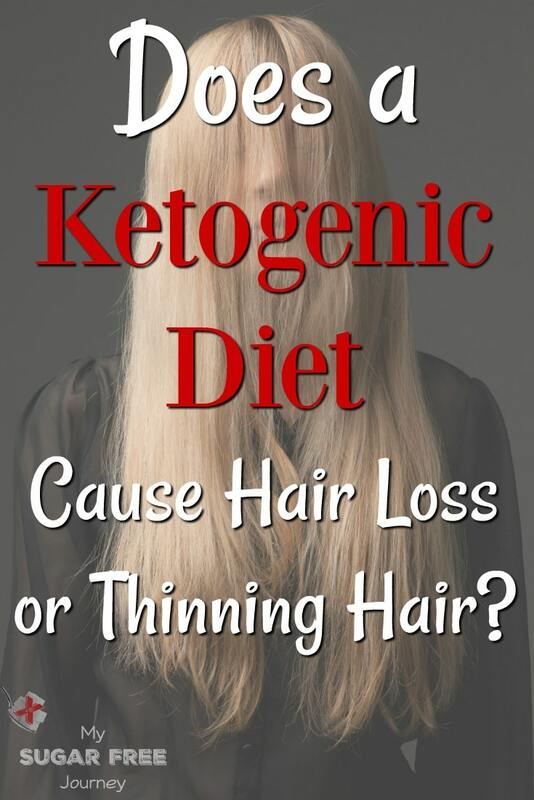 Does a Ketogenic Diet Cause Hair Loss or Thinning Hair? 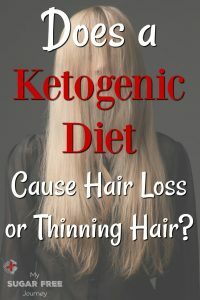 I first became aware that hair loss was possible for some people on Keto when one of the women in our 28 Day Challenge room complained of it a few months ago. I thought it was an odd symptom but significant enough to begin to do a little research on how common it is or at least if other people complained of it and what I found was interesting enough to merit a blog post so let’s take a look. Why did this happen? Here’s what we know. Sometimes, our bodies aren’t thrilled with changes to our diet no matter how healthy the new way of eating is. It’s not unheard of to see a little hair loss in the first month or 2 or any new diet. It’s almost never anything to be afraid of as the issue usually reverses itself fairly quickly once your body adapts to its new reality. When this study turned to reporting the weight loss of its participants, it had this to say. To mimic a starvation state effectively, each patient must be as near to his or her ideal body weight as possible; therefore, we frequently plan for weight loss in our patients. Twenty-seven (60%) of the adolescents reported a reduction in their weight during the time on the ketogenic diet; seven specifically exhibited an unintended weight loss of ≥25% of their initial body weight. That’s a lot of weight loss for people who are already at or near their ideal body weight and was probably caused by a reduction in calories. When you cut calories, the body reduces the number of calories used in non-vital systems such as reproduction and hair growth. So if you are starving yourself on keto expecting to lose weight, stop it. Eat something and see if that helps. Sometimes when a newbie starts Keto, they really focus on the low carb part of the diet but don’t really understand the High Fat and Moderate Protein parts of the equation. Sometimes they are “fat-phobic” and don’t eat enough fat to keep their calories up and sometimes they don’t eat enough protein which is also very important in hair growth. A well-formulated ketogenic diet will correct both of these issues. 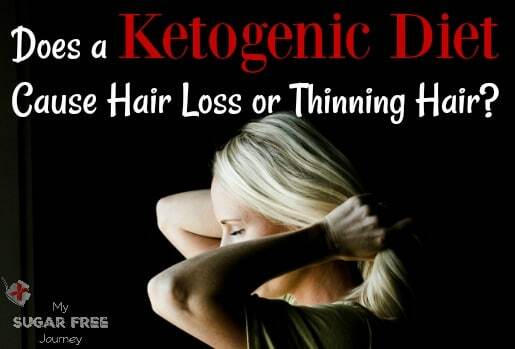 The important thing to remember here is that if you are experiencing hair loss on a ketogenic diet, it should stop fairly quickly. Keep an eye on your total calorie intake as well as your macros and salt levels and you should be fine. Of course, if problems persist, see your doctor and nothing on this blog should be taken as medical advice. That’s code for don’t sue me if your hair falls out. Any other questions? Let me know in the comments below! NEXT POST Next post: 10/11 Weightloss Wednesday: Any Recommendations on a Tracking App? does ketogenic diet lower thyroid? i have been on keto diet 1 week & i feel a little warmer. i have always been the coldest person in the room…& hair thinning since puberty. i wish i could get thicker hair like i had prior to puberty. Pingback: Does a Ketogenic Diet cause Thinning Hair or Hair Loss? mysugarfreejourne… #h… – This Permanent Solution For Hair Loss..
Nearly any big change in dietary habits brings some changes. For me after years on vegetarian then vegan diet my hair was thin and fell out, my skin was very dry, had dark circles under my eyes. After a few months on very low carb my hair and skin dramatically improved, and my long time peeling fingernails got stronge. I believe lack of iron was major contributor. Hello! I’ve heard that our hair needs glucose or fructose in order to not fall out. How can we prevent hair loss then if doing a low carb or ketogenic diet excludes both glucose and fructose in the diet? There isn’t anything that needs fructose for anything. I haven’t heard of hair needing glucose but if it does, our body can make all the glucose it needs on demand through Gluconeogenesis. Your hair may thin a little in the beginning of the diet as could happen with any dietary change but it almost never persists. What you mentioned makes more sense to me, as I had never heard that about glucose/fructose before either. Thank you so much! The main fuel source for your hair is glucose, hair can use ketones but not very well, but like you stated the body produces glucose through gluconeogenesis, leaving glucose for bodily functions needing glucose. There could be a link between hair loss and this process, or lack of protein for proper glucose production from gluconeogenesis, or the glucose produced being used for only major and important body functions. I cannot link the articles because I cannot remember exactly where they came from, but I suffered hair loss on Keto and started researching “fuel source for hair follicles” and did uncover some medical articles on this. Interesting. I’ll look further in to this.